The conference will take place at the Grand Hotel Baglioni, Piazza dell'Unità Italiana, 6, 50123, Florence, Italy. Florence is famous for its history: a centre of medieval European trade and finance and one of the wealthiest cities of the time, it is considered the birthplace of the Renaissance, and has been called "the Athens of the Middle Ages". The Historic Centre of Florence attracts millions of tourists each year, and Euromonitor International ranked the city as the world's 72nd most visited in 2009, with 1.7m visitors. It was declared a World Heritage Site by UNESCO in 1982. Due to Florence's artistic and architectural heritage, it has been ranked by Forbes as one of the most beautiful cities in the world, and the city is noted for its culture, Renaissance art and architecture and monuments. 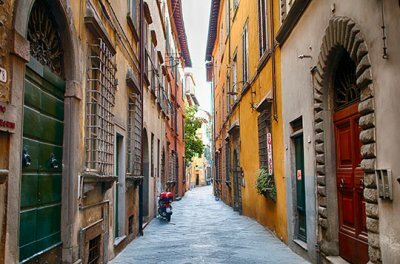 The city also contains numerous museums and art galleries, such as the Uffizi gallery and the Palazzo Pitti, amongst others, and still exerts an influence in the fields of art, culture and politics. Florence is known as the "cradle of the Renaissance" (la culla del Rinascimento) for its monuments, churches and buildings. The best-known site of Florence is the domed cathedral of the city, Santa Maria del Fiore, known as The Duomo, whose dome was built by Filippo Brunelleschi. The nearby Campanile (partly designed by Giotto) and the Baptistery buildings are also highlights. The dome, 600 years after its completion, is still the largest dome built in brick and mortar in the world. The centre of the city is contained in medieval walls that were built in the 14th century to defend the city. At the heart of the city, in Piazza della Signoria, is Bartolomeo Ammanati's Fountain of Neptune (1563–1565), which is a masterpiece of marble sculpture at the terminus of a still-functioning Roman aqueduct.